Be yourself! :) Everybody else is already taken. Stay true to who you are, even when the world tries its hardest to turn you into everybody else. 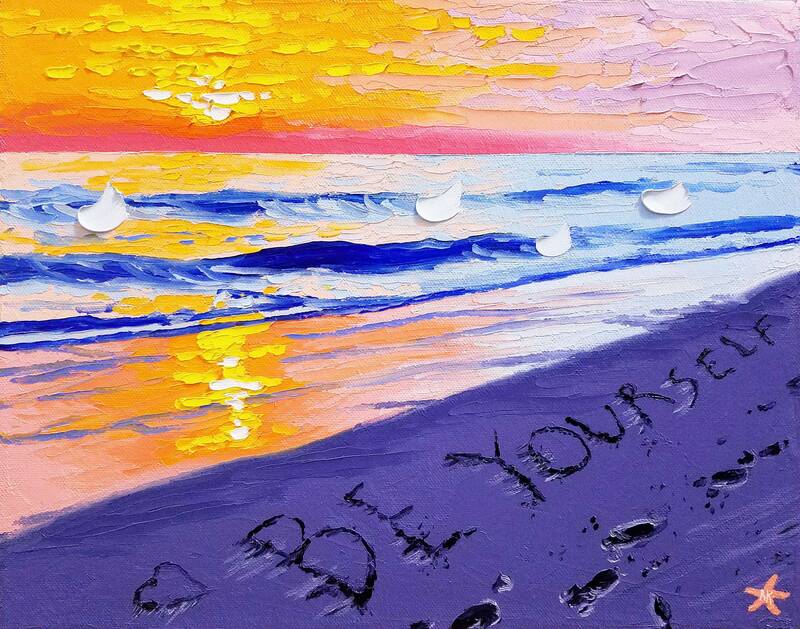 May this sunset beach art remind you this is an affirmation worth holding onto. **This inspirational sunset was painted using oil paints, with only a palette knife! It was created on high quality cotton canvas and is stretched and ready to hang. The sides of the oil painting are painted *black* to give the art a professional look. You can hang it right out of the box!